In the past decade, the environment for medicines research and development has undergone unprecedented change. Core structures shifted from big pharma to extensive collaborations between industry, academia and small and medium enterprises. And the overall focus of the business is shifting to needs and priorities of patients and society. Within all these dynamics however, the pharmaceutical industry continues to see a lack of new product emerging from their research and development departments. Licences for blockbuster medicines are phasing out, and there are currently not enough new product lines to fully compensate. For these reasons, making the time-consuming and resource-intensive research and development processes both more efficient and effective is a major concern. To provide patients and society with novel innovative medicines and equally sustain prosperity for the business in the future, something needs to be done. EMTRAIN, the European Medicines Research Training Network, tackles these challenges. The consortium addresses a crucial factor for sustainable innovation in European medicines research: educating and training biomedical professionals for them to stay optimally competent in their job. EMTRAIN’s core argument is that to meet the needs of future medicines research and development, in order to boost innovation, it will be necessary to leave the traditional disciplinary silo approach behind and adopt fundamental cross-disciplinary thinking and collaboration. This change in culture is profound in that it requires both the academic and the business worlds to change well-established routines and work together much more closely. Highly qualified biomedical professionals wishing to move to another European country in order to advance their careers might have to undergo re-training. A broadly agreed procedure to recognise scientific training across Europe would improve this situation considerably. Disruptive changes in science and technology, challenging mechanisms of maintaining professional competency by rendering hitherto well-established methods and routines obsolete. There is a substantial need for collaboration and communication across disciplinary boundaries. The number of postgraduates employed in the private sector has been shown to have a significant positive effect on company as well as national economic performance. However, a major cause for concern is widely seen in the fact that traditional academic institutions are not effectively preparing their biomedical sciences students for careers in private industry. Today only about 20 percent of newly graduated PhDs in the biomedicial sciences are able to pursue a career in academia because there are not enough tenure track jobs. Thus, catering for the remaining 80 percent, a majority of which will take up a job in industry, is of the highest importance. Traditionally, pharma companies need to invest heavily in newly employed young research staff. The main issue here is familiarising newly employed PhDs with the implications and challenges of working in the business environment. Raising PhD students’ awareness early on about how pharmaceutical industry works would help significantly to reduce this initial effort and improve collaboration between the industry and academia. The EMTRAIN project has established tools to cater for this. It runs annual workshops for PhD students who are interested in gaining in-depth understanding of how the pharma industry works. The PhD workshops are hosted by pharmaceutical companies who are themselves part of the EMTRAIN consortium. Students as well as experienced professionals who require training to further improve their skills are faced with the problem of where and how to find appropriate courses that match their requirements of time, location, cost and quality. To solve this problem EMTRAIN offers another flagship tool to meet this need, a web search platform containing a comprehensive list of courses and other education and training opportunities in the biomedical sciences from all across Europe. on-course®, as the portal is called, contains details of currently close to 6,800 biomedical Masters, PhD and short courses. Course seekers benefit from a sophisticated variety of customisable search functions. Course providers profit from the opportunity of advertising their courses on a platform that is specifically targeted to their audience. Registered providers have access to the back-end of the system, enabling them to maintain their own course entries by themselves. Maintaining optimal competency doesn’t stop once research staff are trained and fully established in the company business. Skills, knowledge and competencies required to fulfil a specific role in the medicines development value chain are changing constantly, with new concepts, research technologies and market trends emerging continually. Planning for additional training to maintain innovation rates, as well as to advance the researchers’ careers, requires a systematic approach. A third major part of EMTRAIN’s activities therefore has been building and maintaining an extended network of stakeholders in continuing professional development. Under the umbrella of the LifeTrain initiative an open community of employers, professional bodies, course providers and individual professionals exchange ideas and develop concepts and tools to better organise continuing professional development for research staff in the biomedical sciences. LifeTrain’s core concept is the notion of competency. Competencies are observable factors which can be documented and compared against formalised requirements. 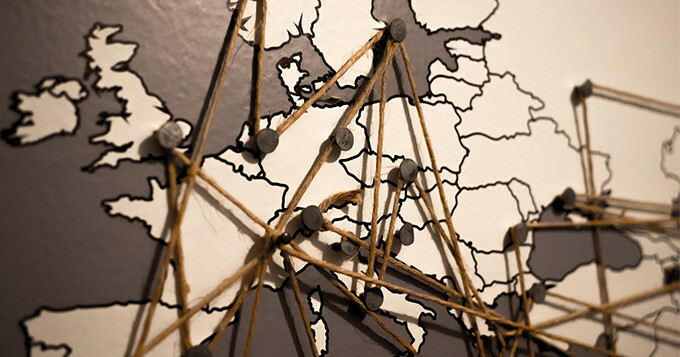 The competency concept is a major step in supporting mobility across national and disciplinary boundaries, significantly facilitating both employers’ staff management and professionals’ career planning across Europe. Currently, LifeTrain has more than 80 dedicated signatories who have agreed on a set of core principles for optimally conducting continuing professional development. LifeTrain’s signatories, as well as about 200 other stakeholders, meet up at the annual LifeTrain Workshop to discuss recent developments in continuing professional development for biomedical sciences, resulting in developing further concepts, strategies and tools. The Science Council attended the recent EMBL conference of lifelong learning in the Biomedical Sciences to present a poster about professional registration as a universal competence framework for scientists across Europe. The European Medicines Research Training Network, EMTRAIN, is funded by the Innovative Medicines Initiative (IMI). EMTRAIN, together with the IMI-funded education and training projects Eu2P, PharmaTrain and SafeSciMET, is now part of imi-train, an education and training umbrella project also funded by IMI.